This portrait will be on a silent auction on the day of the concert; all benefits will go to Sing’theatre’s hospital programmes. Donate now, and help Sing’theatre to bring music to hospitals. As Sing’theatre is an Institution of Public Character (IPC), your donation will automatically qualify for 250% tax deduction, as stated by IRAS. 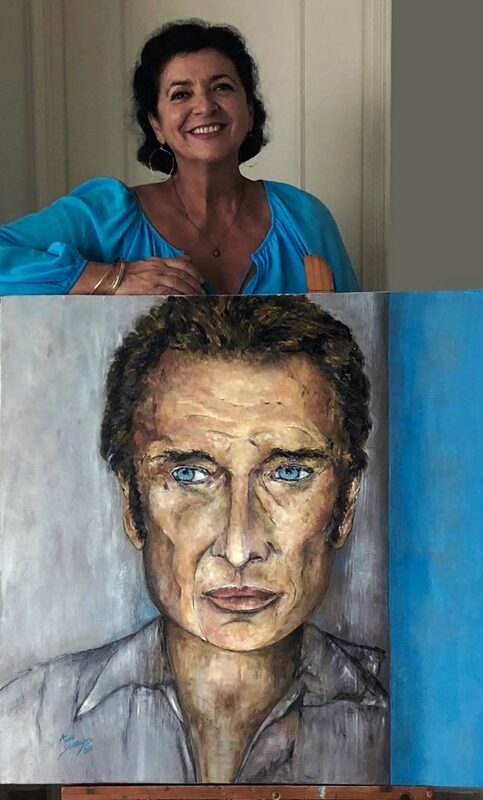 I invested a lot of emotion in painting this portrait of Johnny. Johnny has been a constant presence in my life. He was more than a great singer – he was a companion […] Johnny was in every home and in every heart. He is unforgettable!